Hello dear reader, hope everything is good in your world and the beginning of December hasn't got you too panicked to go rushing out to do your Xmas shopping. Me and the wifey try to do our shopping through the year, buying little bits and pieces when we see them. Beats all that mad 'Black Friday' shopping. I honestly do not understand who would want to go through such stress in buying a present. Sometimes, I think the world has gone beyond mad, but that's a different story. Of late, especially on the world of Twitter, people have been reporting that they keep finding butterflies in their homes, fluttering around the place. 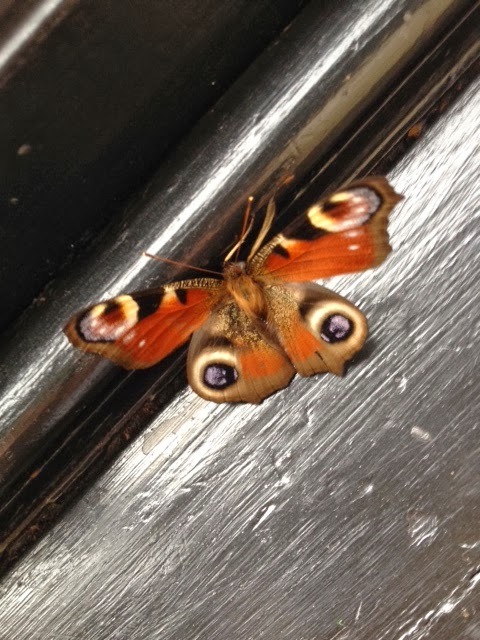 I too got a text from the wifey who came across a Peacock butterfly (Inachis io) inside an upstairs function room of an old pub, asking me if she should set it free. Consultant ecologist Ralph Hobbs was recently (this week) called to a vacant pub after the new owner spotted around 75 Small Tortoiseshell butterflies (Alglais urticae) in the downstairs front room of the unoccupied building. 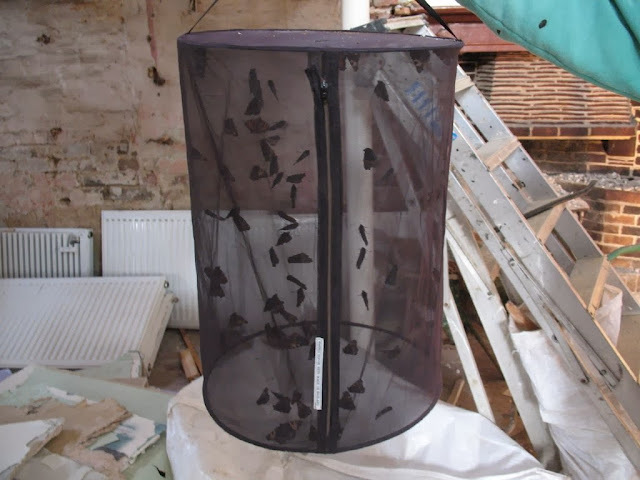 Thankfully, the new owner new what they were and before letting the rest orators get to work, he called his ecologist friend in, who happily collected them all up in a insect mesh container and relocated them. 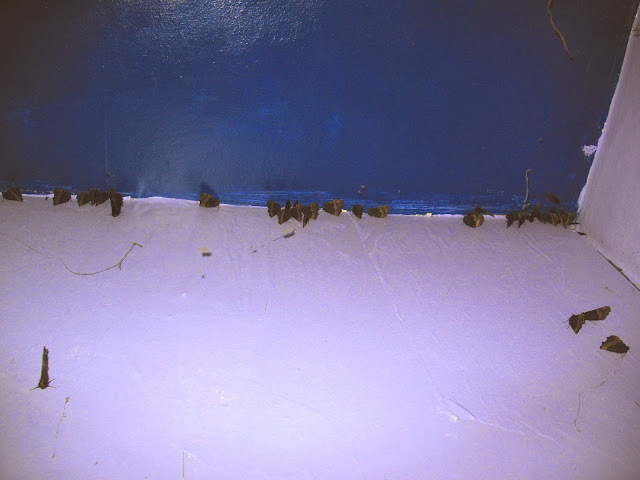 However, whilst they're hibernating in the relative shelter of the shed, they are at risk from other predators such as spiders, mice and bats (yes, warm days in winter sees hibernating bats going for walkabout around their hibernaculum). The peacock butterfly has this remarkable little defence system where if it sees a threat approaching, it will quickly open it wings flat, displaying the two eye like spots and at the same time as it opens its wings, it squeaks. Yes, a butterfly that actually squeaks like a mouse, and this squeak is not only audible to us humans, but it also resonates in the most sensitive area of a bats hearing, thus it can be heard as ultrasound too. There has been a paper done on this that can be seen here. As you will see, the sound is made by the membrane between two veins on the butterfly's wing, as it opens the wing quickly, it causes the membrane to vibrate. This, coupled with the flash of the eye spots is a two pronged defence technique and although it has been proved that the eye spots don't really bother the bat, it's the ultrasound click within the audible squeak that puts the bats off. The squeak coupled with the eye-spot flash would probably scare off predators such as mice who don't want to bump into things with big eyes. So, how can you help these amazing creatures if you find one in your house? Simply the best thing you can do if you come across the unexpected butterfly in a dark corner of your home is to gently scoop it up with a cup and a piece of card, a bit like collecting a spider, and then place it in your shed or garage or outhouse. Somewhere that isn't artificially heated and that is relatively quiet with little activity and with gaps so that it can escape and fly away again come spring. Many thanks to Ralph Hobbs for letting me use his photos and well done on such a grand job of relocating all those butterflies. Yes, time to get the loppers and secateurs out and join us over at Purdis heath this Saturday (7th December) to help us preserve the small piece of heathland site that is so important to Silver-studded Blue butterflies (Plebejus argus). It's between 10am - 3pm, but obviously, you can come and go as you please. There will be tea/coffee and biscuits for breaks but please bring along a packed lunch to see you through. If you have work gloves, that would be good too as well as any loppers/secateurs you have. Please wrap up warm and wear suitable clothing/footwear for the job in hand. We will meet up in the lay-by on Bucklesham Rd opposite the Trinity Showground about 10 am, I and many others will look forward to seeing you there. 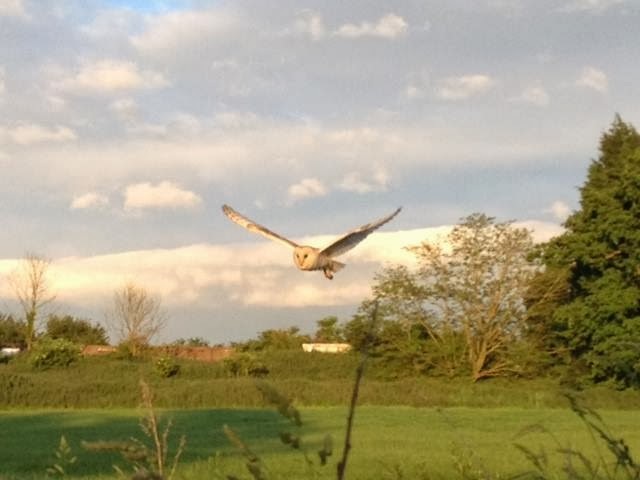 As many of you will know, I won a category (Best photo taken by a mobile device) in the Suffolk Wildlife Trust Photo Competition. The category winners then went to the public vote (I hope you voted dear reader) to find an overall winner. My winning entry caught on my iPhone. Unfortunately, my photo didn't win the overall competition. However, I'm not sad as the winning entry totally deserved to win and can be seen here. Lee Acaster's The Old Oak is a lovely photo that makes me feel that if Constable could have taken photos, this would have been the style of photo he would have taken. If you did take the trouble to vote for me, thank you very much, I appreciate it greatly. That's about it for now, got some projects to be working on, like my bee project and I might have some other exciting news to share too, so just watch this space!!! Till next time dear reader, take care and have fun.